Chances are if you have traveled to other countries you have at some point used taxis in your travels. In general, this article is about problematic taxi drivers. It is really hard to put a percentage on the “bad” taxi drivers I’ve used on trips around the world as each country is different and it is these “bad” drivers who really stand out in your mind. If I had to choose a number, I would say maybe 20-30 percent of the taxi drivers I’ve used around the world have tried to pull something shady on me (usually price gouging related and it really varies from country to country). In the same grain, there are many taxi drivers I have used around the world who I have no complaints about whatsoever. Taxi meters are usually based upon distance and time. For example if you are sitting in traffic you may see the meter continue to increase in price regardless of whether you are moving or not. 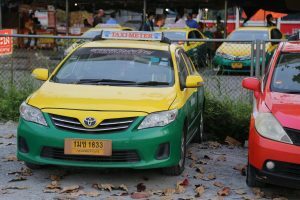 When you begin your trip the taxi meter is usually already set to a minimum price – such as whatever the standard price is for 1 or 2 kilometers. Note that not all taxi drivers have meters installed in their vehicles. The following items are problems that I have run into when using taxi drivers. This can be a complicated excuse. First of all, many taxi drivers do not even have meters. Some taxi drivers such as in Bangkok as a whole, simply may refuse to use their meters in the case of terrible traffic. However more often than not an excuse to not use the meter means the driver is trying to cheat you for extra money. A common problem is taxi’s will have meters but neglect to use them. Taxi driver excuses range from, my meter doesn’t work, the traffic is so bad I will not use my meter, and its cheaper for you if I don’t use my meter! Before you travel somewhere try to get an idea from fellow travelers about the cost of taking taxis in a particular city. Message boards on travel sites are a good resource. Consider using some of the Travel Forums on Dave’s Travel Corner. Additionally, Lonely Planet’s Thorntree and Robert Pelton Young’s Black Flag Cafe, are excellent resources for posting your questions. If you have an idea about taxi drivers in a certain city, before you travel, this will give you the heads up on dealing with them when you actually need to use their services. If you are in an area where taxi drivers have meters, and a taxi driver refuses to use his meter, try to find one that will use it. 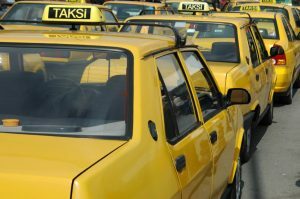 You may find yourself in a city where taxi drivers just don’t have meters in their cars such as most of the taxi drivers in parts of Peru or Central American countries among others. In this case you will just have to bargain with each taxi driver and settle the price before you start your trip. Be aware that many taxi drivers who greet you after you get off a plane at an airport or bus station will often try to charge you outrageous prices. They know that most travelers are probably tired and just want to get to your destination as fast as possible. This is why its a good idea to have some idea of rates before you arrive. In addition strongly consider walking out of the airport and flagging down a taxi driver on the busy boulevards or side streets. Their prices will probably be more typical of taxi drivers in that area. Also note that if you are in an area with many taxis its easy to bargain as if one taxi driver doesn’t want to take you for a certain price maybe there is another driver who will. Miscommunication is one of the biggest problems with using taxis. You may not speak their language and they may not speak yours. They may pretend not to speak your language. Having an address written down sometimes helps. Be sure they understand you and *always* repeat their important responses after they say it to get confirmation (ie, most importantly the price and then the destination address). Its not out of line for both you and the driver to repeat the agreed on price several times. I’ve seen taxi drivers turn on the meter at the start of a trip, then cover it at some point during the trip, and when covering it “accidentally” turn off the meter. Whoops. Then they will make up a price that is probably not advantageous to you. Keep an eye on the meter at all times and know how much it says. A few times we and the taxi driver have agreed on a price for a trip so we get in the car. But then he drives a short distance and then tells you the price is now something higher than what you and he originally agreed on. The driver may say he needs more money or he may come up with an excuse for why he needs more money (ie, bad traffic, a toll, a road closed, pretend to have not understood you when you originally both agreed on the price – etc). Here is how we see it. At this point you need to tell the driver to stop the car and that you need to get out and that you no longer need his services. If the driver knows ahead of time about something that will cause his fare to be higher than he needs to tell you about this -right in the beginning when you both agree on the fare. I’ve been in situations where taxi drivers refuse to speak – or pretend to not speak English after initially conversing with me in English. This usually occurs when it comes time to pay. This can be a tricky one as you probably won’t know if the excuse for extra money is a valid one or not. In our experience typically this is a bogus excuse. The excuse for more money is that the taxi driver enters a place usually of public transportation such as an airport, train station or bus station and goes through a gate where they are given a ticket or piece of paper. Ask for the receipt in all cases to be sure. This may or may not be legitimate. I have seen where the taxi goes through a gate, receives the ticket, leaves the gate and never pays anything, but then still tries to tell the passenger that they owe more money above and beyond what the meter says, because it costs them every time they go in and out of the gate. We have also had a taxi driver drop us off well outside an airport (where there are no entry fees) and then tell us that there is an extra “public transportation” fee. No way. Do you have any idea of how far it should take to get to your guesthouse or hotel? Its a good idea to have Google Maps pre-loaded on your phone with the address of your destination already marked. This way if your taxi driver starts driving in circles or a really round about route, you will have some idea of what is going on! This can be nice or it can be a problem. Some taxis (typically in western countries) will line up at an airport and will only let you take the first taxi in line. This is somewhat of an inconvenience as sometimes the lines can be very long and if you exit at the wrong end of the line you have to walk all the way to the front of the line. I’ve been in situations where I’ve gotten into extremely heated arguments with taxi drivers in these situations. I walked away after talking to a taxi driver who gave me false information about a transportation question I had and then came back 10 minutes later only to have one of the taxi drivers start swearing at me for coming back again. Having an attendant on duty when taxi drivers are lined up waiting is quite nice, but if there is no attendant I’ve found things break down and its more of a free for all among the taxi drivers. Be aware that sometimes taxi drivers will charge an additional fee if you use their services during odd hours such as in the very early mornings or very late at night. If you are taking a taxi during these odd hours, its best to confirm this right away with the driver. 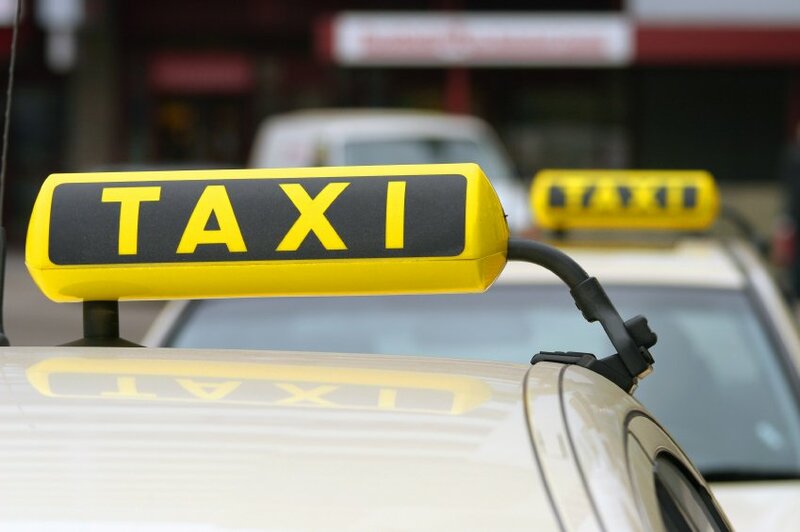 There is a good chance that not every taxi driver is going to know how to get to your exact address especially if you are in a large city and are not going to a well known destination. If they don’t know and there are a lot of taxis around its always better to find a taxi driver that tells you he knows. I’ve wasted so much time in taxis driving around with drivers who didn’t know the exact location of where I wanted to go. Or, another way to deal with this, is already have your destination address loaded on your Google Maps – in numerous cases I have guided the taxi drivers the last few minutes to my destination by telling them where to turn based on the route shown on my map on my phone. And note that more and more these days taxi drivers will plug your address into their own phone’s map which certainly eliminates the hassle of the ‘old days’ of finding an address. Sometimes cheap hotels or hostels will pay taxi drivers for taking backpackers to their hotel. Some drivers I’ve met have been particularly forceful about taking me to the “best” hotel – and one that they recommend. Some of these hotels are fine of course – but you should be aware of their intentions, and they may try to convince you to go elsewhere, even if you already have a hotel to stay at. This can be a tricky one. In my experience I’ve found this happens only in more developed countries. Upon taking a short trip the driver will tell you at the end of your trip that he has a “minimum fee” and he will give you some higher price than is what is shown on the meter. It is a good idea if you know you will be making a short trip, to ask the driver if he has a “minimum trip fee” *before* you actually commit to taking the trip. Also note that some taxi meters may already be set to a minimum price (which you will clearly see on the meter to start the drive) – such as whatever the standard price is for 1 or 2 kilometers. Taxi drivers in some countries will pick up as many people as can fit in their car and then drop them off as they go. This can be very problematic especially if you are trying to get somewhere in a timely manner. I’ve had drivers tell me its only going to take a few minutes and it ends up taking a lot longer to drop off the other people already in the car. The people already in the taxi typically will have priority over your destination and you will have to wait until they are dropped off first. This is very common and may not even cost you that much money but can be a bit annoying. This usually occurs when the driver tells you “I don’t have change” and tries to force you to pay with a larger bill. See item directly below for more information on this. This is a pretty common excuse. Some taxi drivers will claim not to have change for that large bill you just gave them or even not have change for the not so large bill. Sometimes they will “magically” produce change if you tell them you have to get out of their car and go find someone who will make change. You can also try to have small change on you – when you exchange money ask for smaller bills rather than larger bills although note that ATM’s typically spit out only large bills. Additionally before you even get in the taxi, if you have a large bill, ask the driver if they have change for your bill. Ask this question *after* you agree on the price. – Always use the meter in the taxi (if there is one). Also determine if the taxi driver has posted some sort of ID in their window, identifying number on the side of their car, or on their dash board. Remembering this ID can be particularly helpful later in identifying a taxi driver if you’ve had a bad incident with him or think you’ve left something in their car. Taking a photo of this their id sign with your phone is simple and easy. – Packing light is very important and if you are in transit with a backpack – having a pack that is small means you can carry it with you in the back/front seat *instead* of having to put it in the cabbie’s trunk. This means if you need to exit quickly, you can do so and avoid having to get inside the trunk to retrieve your belongings. When carrying your bag(s) with you in the actual taxi, take precaution that nothing valuable is showing and that you have the bags at your feet not close to the windows, where someone could reach in, or break the window and try to pull your bag out of the taxi. – Pre-paid taxis have their advantages and disadvantages. Typically you will find pre-paid taxis at airports. Pre-paying for a taxi saves you the time and hassle of having to find one and possibly negotiate over the price – however in our experience, pre-paid taxis typically cost more than if you were to find a taxi outside of the airport. Also note some airport taxi counters charge a “convenience fee” for arranging your taxi – typically you can find taxis away from this counter/part of the airport – that do not have this fee – i.e. a different level of the airport or just outside the airport. – Occasionally taxi drivers, such as in parts of Japan have doors that automatically open and close for you. They also may auto lock you in the car during transportation- so you wouldn’t be able to get out in a hurry. If you can lock and unlock the doors yourself, its always a good idea to lock the door next to you once you are in the taxi. – Male dominated profession. In all of my travels around the world I’ve only used a handful of taxis in which the driver was a woman. Worldwide, in my experience being a taxi driver is universally a male dominated profession. If you know of any countries in which women make up a good number of the taxi drivers, please let me know. With the advent of ride sharing services such as Uber and Lyft (which I also use), I have seen a much higher women driver ratio for these particular services as compared to taxi drivers in general. – Reserving a taxi for say the next morning at a hotel has its advantages and disadvantages. This entirely depends on your situation and needs. First of all most likely you are guaranteed the taxi will show up as you are probably paying more for this arrangement than if you were to flag a taxi down yourself. Having the hotel arrange your taxi might be ok if you are in an isolated area where there isn’t public transportation or you are leaving the hotel at a very odd hour. Extra price is extra piece of mind in this case. – Always take a look at the taxi driver’s face and study the actual vehicle – ascertain how many dents and or scratches are on the vehicle. – Note that some airports have “special” taxis who are meant to only transport passengers *from” the airport. In these rare situations if you try to get a ride away from the airport from an arriving regular taxi you may be denied. 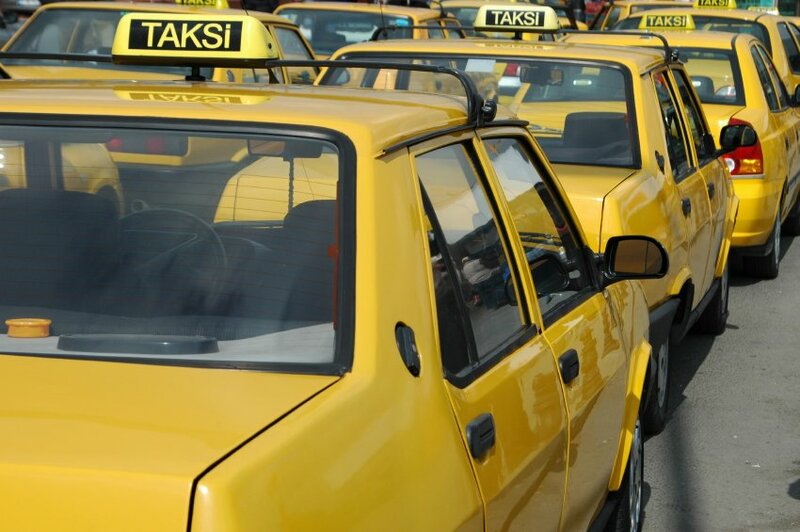 – Taxi prices for countries that do not have metered taxis, always tend to be higher at what we call “terminal” points – places of main transportation such as at airports, train or bus stations. – All taxi’s aren’t as nice as some of the ones in New York City that remind you in an automated voice to collect your belongings before leaving a taxi. Be very careful: it is *extremely* easy to leave something behind especially if you are in a hurry. Most commonly left behind items are cell phones. Check the space under the rear window if you are seated in the back, glance at the seats and then at the floors. Items fall out of pockets easily so also check the cracks in the seats. Get in a habit of doing this EVERY TIME you take a taxi or a ride sharing service – it can save you a lot of hassle in the long run. A friend described leaving his cell phone behind in taxi in Kuala Lumpur, Malaysia. By the time he realized what had occurred the taxi driver had already pulled away. This friend started running after the taxi driver – almost catching him at several stoplights. But then he realized he wasn’t going to be able to catch up so he asked a motorcycle cop for a ride (who was luckily parked on the street where this chase was occurring!) And the motorcycle cop was able to finally catch up to the taxi driver and our friend was able to retrieve his phone. Most lost item stories in taxis end this nicely! – Lastly, if you are like me you don’t think very fast when bad situations arise regarding taxi rides – I sometimes load this article on my phone when I’m ready to use a taxi (especially in countries I have not yet traveled to). It serves as an excellent reminder of what can go wrong with taking taxis. I also been known to print out copies of this article and sometimes leave one in the back seat of taxis after I use their services (the ones I’ve had problems with) – to help the next person who comes along who hopefully can read English! Thanks for the great tips on taking a taxi. It makes sense to know the exact address of your destination, and not just the name of the building. Next time I go on vacation, I will remember this advice. Ridley – yes, the exact address is key and also have it pre-loaded on your phone to help clear up any confusion with directions. SightseeMD – thanks for stopping by and your notes about your taxi experiences in South Korea. Its been years since I first wrote this article – you reminded me it needed a thorough update, which I have just done. I revised that percentage to 10 to 20% (technology has certainly helped mitigate some of nefarious actions in the past (taking long routes etc) but as I have traveled significantly since I first wrote this article I’ve realized that initial estimate was to high. Also good advice on having your hotel write down the destination information in the local language. I look forward to returning to South Korea at some point – North Korea is also high on my list – especially for the Pyongyang Marathon in April! Thanks for the tip to confirm any additional fees for odd hours with the driver before starting the trip. My husband and I will be travelling next month, and we’ll need to use a taxi to get to our hotel during the night. I’m glad I read your article because I now feel more prepared and confident about using an airport taxi.